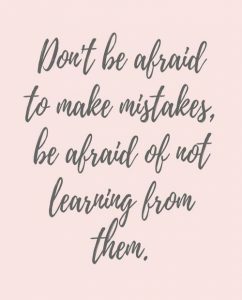 How well do you learn from your mistakes? In this episode, Deidre, JG, and our newest team member, Erik, dissect their experiences and what they would do differently in the future. How many of us really learn from our mistakes? And how do we use the knowledge from those experiences to change outcomes for our future? This week Deidre and JG are joined by Erik Hawkinson, the newest addition to the GutwiZdom family and our Chief Marketing Mogul! Deidre, JG, and Erik dissect a few of their personal experiences using our new GutwiZdom NavigatorTM which is a true system on how to dissect your experiences and be in control, with intention, to direct your future outcomes. Want a free consultation with Deidre to go through The GutwiZdom NavigatorTM? Email DK@GutwiZdom.com to be entered to win! Experiences do not have to be entirely negative. You can take an experience that didn’t give you the outcome you wanted, and still find things that worked. Ask yourself, what worked, what was great? This way of thinking empowers you to create different outcomes next time around. Don’t wait to dissect an experience. If we wait and avoid addressing the experience, no one is learning or moving forward. By addressing an experience right away we are teaching ourselves self-control and intention. Be willing to learn. How many times do the same types of mistakes or learning experiences show up in your life repeatedly before taking action to change? You have to be willing to learn the lesson the experience is teaching you. Think about your thinking. Be mindful of your thinking and self-train to get the results you want. Don’t be so self-critical. We can all be overly self-critical, especially when we realize that our behavior could have been better than it was in a particular situation, but luckily, we can learn from our mistakes and we can do better the next time around. Write it all down. What worked, what didn’t, and what will we do differently in the future? LISTENERS: HOW DO YOU LEARN FROM YOUR MISTAKES? Send us your answer. Either leave us a voicemail at 1-646-653-9278 or send us an email. We may talk about it - or we may even talk with YOU - on the air!